If you need to provide other members of staff with access to your Pandle Partner account then you can do this by adding new users to your account. Simply head to Partner Admin > Your Accountancy Firm, then from the Staff tab click 'Add New Staff User'. Full descriptions of these roles can be found at the end of this article. 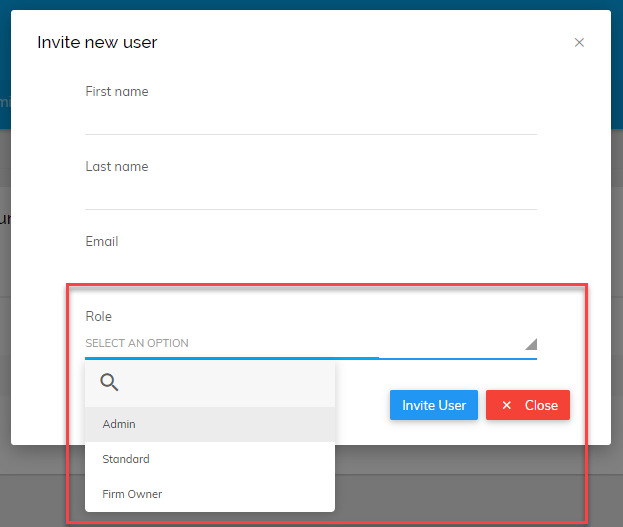 Once you have selected their role, click 'Invite User' to send an email invite to your staff member. Your staff member will receive an email prompting them to activate their account. After they have signed in for the first time they will have access to the Partner account on Pandle. The amount of financial information they can see will be determined by the Role you selected when sending out the invite. You can change their Role at any time from the Staff tab in your Partner Admin screen, simply click the edit button next to the staff member who's role you wish to change.